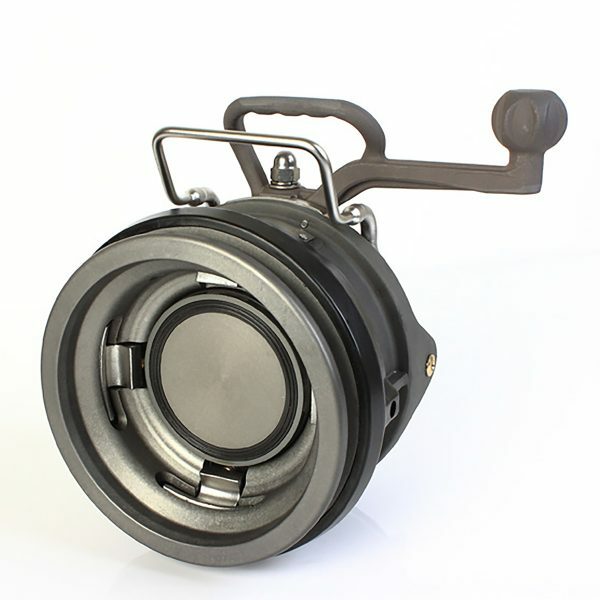 4″ SAFELOAD API bottom loading gantry refueling Coupler. Semi–automatic action. 4 extended trigger interlock. Manufactured in Aluminium, hard anodized + Aluminum handle. Selected Main seals Inlet flange studded 4″ TTMA. Options – High pressure version. Manually operated version. Available with Stainless Steel handle. We were looking for a coupler that will seal properly each and every time. No matter which coupler I used, I always ended up with some spilled material.